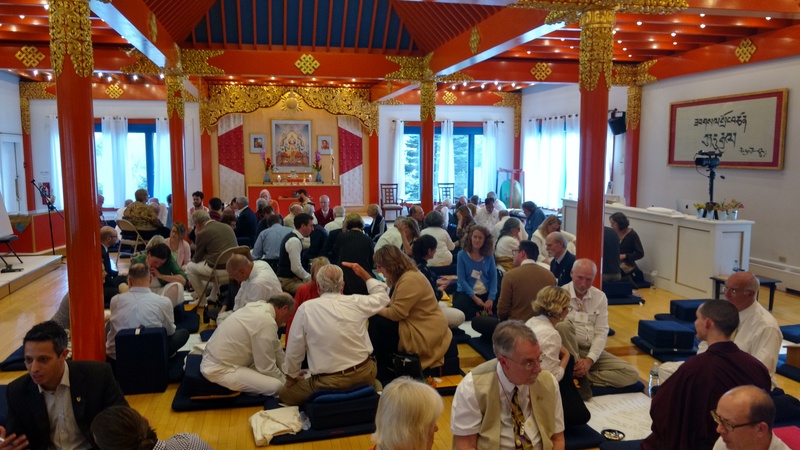 This May, leaders from throughout the Four Pillars of the Shambhala community gathered at Karme Choling with the Kongma Sakyong, for the first Kalapa Garchen (Great Gathering.) The Sakyong made it clear this was to be the first of many more — and likely much larger — Kalapa Garches in the future. The ongoing theme of the gathering was The Richness of Shambhala and the high point of the retreat, among many, was the formal installation of Jane Arthur as Minister of the Pillar of Government and Robert Reichner as Minister of the Pillar of Economy. 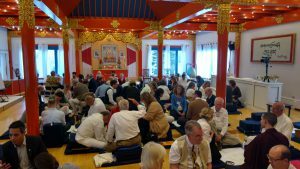 To read more about this historic gathering, and biographies of Jane Arthur and Robert Reichner, please visit the Shambhala Times here.